Family: Wife Barbara, 2 sons, 3 grandchildren Notes of my life: Worked for city service for 33 years, now owns a small engine repair shop. Current Activities: Running my lawnmower service shop, gardening, helping with grandkids. Plans for the future: Work, garden, watch football. Bruce and I have been married 40 years and have three children and three grandchildren. I taught elementary art in Leavenworth (Title I Grant) and in Labette Co. (Title III Grant) over Instructional TV. The television bug bit, and for over 20 years I worked part-time as a camera operator at the Wichita PBS station. 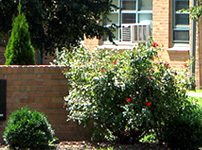 At the same time I worked full-time as a graphic artist at Wesley Medical Center. I’ve been retired for several years and spend time playing with grandchildren, renovating and re-renovating our 120-year-old house, reading mysteries and weeding and mowing our huge yard. In the future we plan to travel in our 42-year-old travel trailer and just rest! I spend my spare time with my children, grandchildren, and outdoors. Memories from Lawrence High Days: All the good looking girls. Current activities: Married 45 years. Retired. 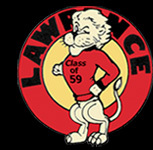 Memories from Lawrence High days: Too long ago!! I’ve been teaching since graduation from KU, then graduation from Montclair State in New Jersey. — ’82, then the School for International Training in Vermont — ’85, then State University of New York Albany — ’94, when I finally decided what I wanted to be when I grew up! I was fortunate to teach in several places in the United States and in Hong Kong, Sarajevo and Slovakia. I retired from college teaching and returned to Lawrence five years ago. My husband and I enjoy traveling, skiing, hiking and camping. I wrote a novel that is still in print and now am a historical performer. I have one son, six step-children, and lots of grandchildren. Current activities: Just retired and moved back to Lawrence to keep an eye on the parents. Living on a small ranch in Jefferson County Plans for the future: Traveling, Skiing, Hiking, Camping. Maybe write another book. Memories from Lawrence High days: Cold fall Friday nights at football games in Haskell stadium. Slumber parties where we seldom fell asleep. Come-as-you-are breakfasts where we came in pajamas and rollers. Girls Sport Shows.